Premise: Five contestants compete to choose the most expensive prizes from the “Dream Screen”. One by one, each contestant will have the option of choosing a prize from the Dream Screen or stealing a prize from their opponent. Each contestant is allowed to steal one prize per round and “lock” up one of their prizes per game. 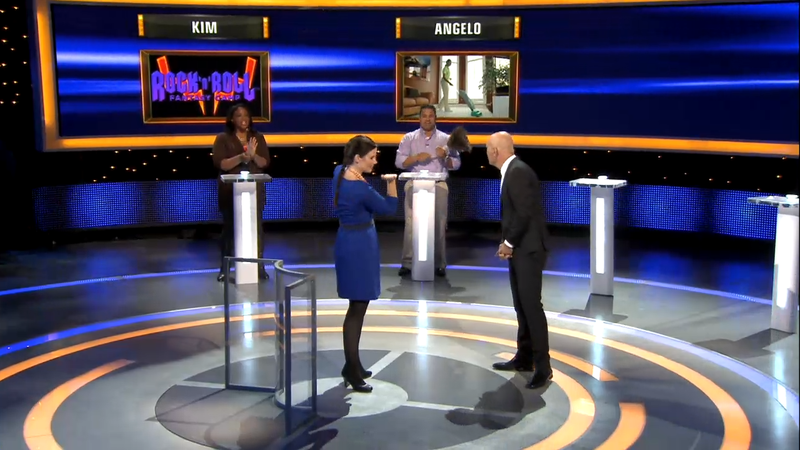 Three front game rounds are played and the contestant with the least valuable prize in each round will be eliminated and leaves the show with nothing. In the fourth and final round, the Prize Fight, the two remaining contestants will have to decide whether they want to keep their own prizes by choosing the “Keep Mine” option or keep their own prizes and take their opponents’ prizes as well by choosing to “Take It All”. Before each contestant locks in their decision, each contestant will choose one of ten bonus cash award envelopes ranging from $25,000 up to $250,000, and will have a minute to plead their case on why they should be trusted. Afterwards, if both choose “Keep Mine”, both contestants will win their prizes. If one chooses “Take It All” and the other chooses “Keep Mine”, the contestant who choose “Take It All” keeps their prizes as well as their opponents’ prizes and their opponent will leave the game with nothing. If both choose “Take It All”, both contestants will lose all their prizes. I’m going to get right to the point and say that I am impressed with NBC and what they have done with this show. Although this is just another luck-based game show, Take It All is better than one-dimensional luck based game shows such as Deal or No Deal because of the strategy, competitiveness, and excellent play-along factor seen within the gameplay. Additionally, the luxurious prizes seen on the show reminds me of the exquisite prizes and gifts shown at stake on The New Treasure Hunt. Because this show is based on a popular holiday game, I’m a very surprised that the show’s producers did not dress the show’s set and graphics with holiday decorations and paraphernalia as we have seen on past NBC game shows such as 1 vs. 100 and Minute To Win It. I guess they have learned their lessons from last year with Who’s Still Standing?, but I digress. 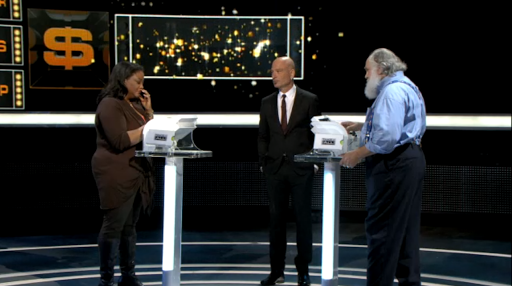 As host, Howie Mandel is still the same excellent host we have seen on Deal or No Deal and even in the 2009 Game Show Awards. With his trademark fist-bump salutation, Howie Mandel carries the show well at an excellent pace and he does an excellent job of keeping the contestants entertained and making them feel comfortable and relaxed on the show. The only issues I have with the show lies within the gameplay and the explanation of the rules. Even though Take It All is fun to watch, the gameplay is a tad slow and the show could have used a different end game than the same “Prisoner’s Dilemma” situation we have seen on several other game shows such as Friend or Foe, Golden Balls, and most recently, The Bank Job. An idea for a different end game could be one player choosing one of four envelopes containing either “Keep Prizes”, “Take It All” (all the prizes that have been offered in the show), “Lose Everything”, or “Mystery Cash” (up to $250,000) in lieu of the earned prizes. As for the rules, they are not fully explained at the top of the show. I was initially confused when one of the contestants locked their prize for the first time. It seems like they are running into similar issues that Who’s Still Standing? had, in terms of the confusion of their rules and the viewers have to figure it out as the show progressed. That does not make a good game show. Overall, Take It All is a fun, big risk, high stakes game show to watch and even more fun to play along as well. NBC definitely did a better job this holiday season with the premiere of this show. I was also impressed with the placement of commercial break cliffhangers, how suspenseful the show is from time-to-time, and how energetic and genuine the contestants are without being too annoying and overdramatic. I wouldn’t be too surprised if another week were to arise either during Christmas week or at the top of 2013. By the look of the premiere night’s ratings, this might be a one-season wonder. But, we will see what happens. Watch new episodes of Take It All all this week at 9:00pm on NBC!